It’s that time of year when the world’s best toys fall from the sky. Kiddo4 called me outside, and I came out to find what they both purported were the remains of Kiddo3. 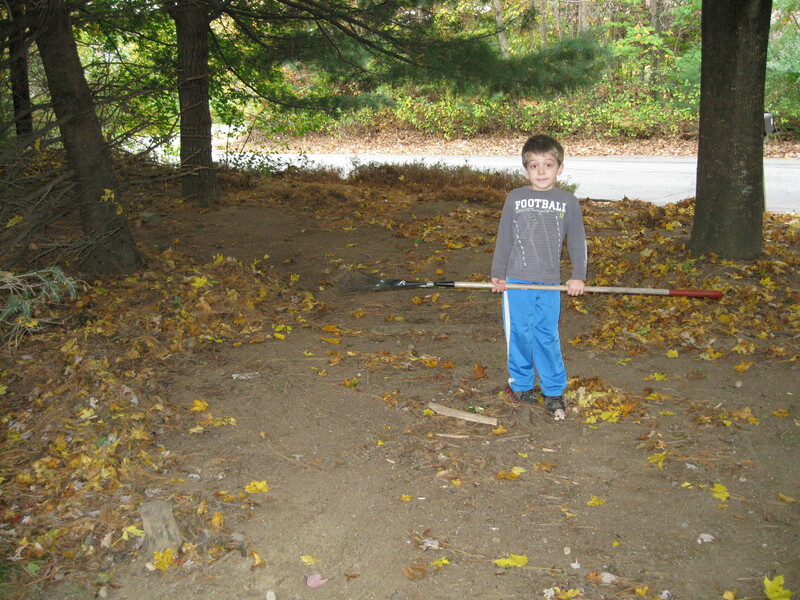 This is the time of year when no actual raking gets done, but if I hand two boys a pair of rakes, I receive in return about an hour of silence. At least until one Kiddo whacks another and then everyone gets ordered back inside to gripe there where the neighbors won’t think I’m running a home for feral children. The trees are still loaded. 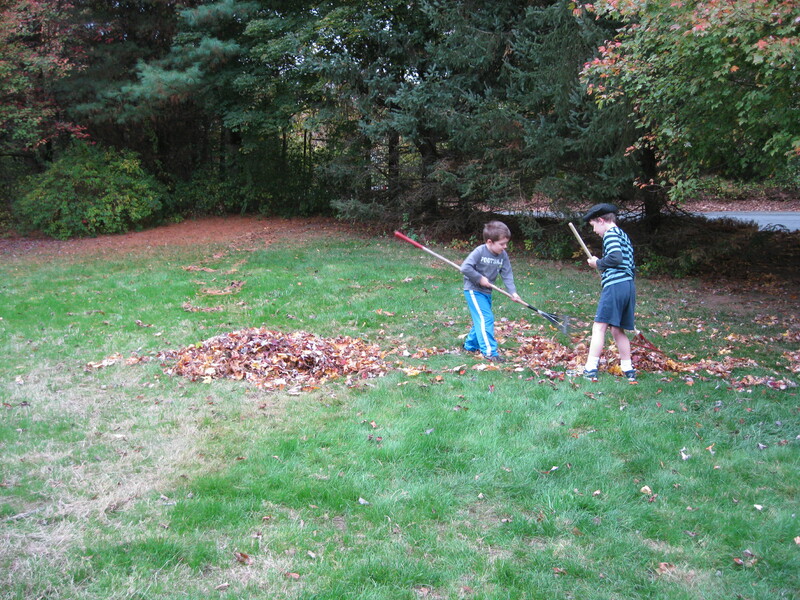 They know eventually the boys will get bored with even token raking, and they’re holding out for that. 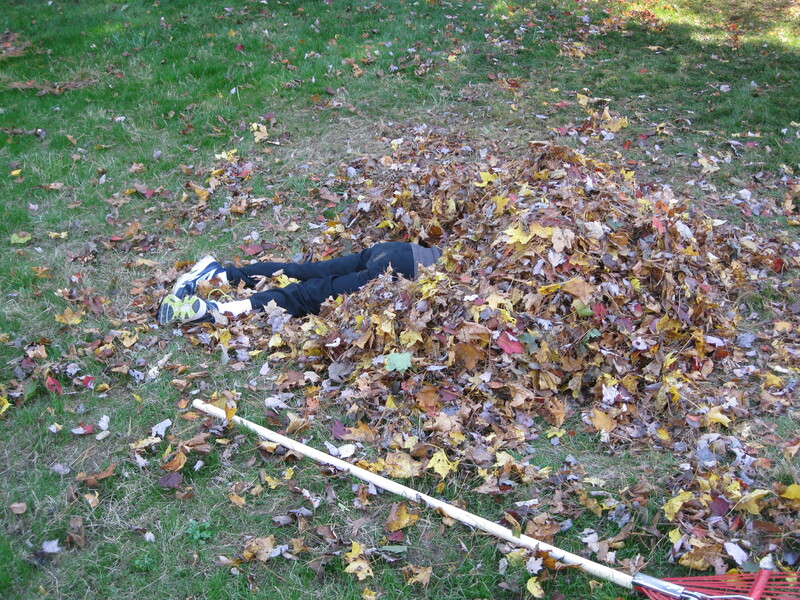 But what they did instead was go under the pine trees and start raking in patterns. They raked up pathways and made walls, and an hour later, they brought me outside to see their Labyrinth. Kiddo4 is adorable. And clever. Keep that to show a college recruiter or headhunter some day. Love his enthusiasm. Great video, really enjoyed it. Hey! Congrats on your success with write club!! Okay … comment on the post … those little boys are not only adorable, but they’re bringing back some of my best childhood memories … leaf houses! In leaf towns! And we had our share of problems since I was the oldest and was always the mayor until the good folk of Leaf Town rose up with the Leaf Town version of a pitchfork—a rake (of course.) A labyrinth is just genius. I am a fan, Jane! Well done.